Spirit guides come in many forms, each with their own unique purpose and knowledge to offer. Guides may stay with us for varied times throughout our life, whilst some spirit guides are assigned to us at birth, others visit us when we need them most and some spirit guides may only come to us once we call upon them. The basic role of a Spirit guide is to provide guidance and clarity in a situation, with the intentions of safely leading an individual through whatever they are seeking help against. In many religions it is not uncommon to hear followers state that their guide will provide answers and enlightenment if you chose to follow them, and this may be the ultimate reason as to why any number of spirit guides may reach out to a person. With the ultimate goal to provide help a spirit guide will never complete a task for a person, and whether an individual takes the advice of a guide is entirely up to them. There are many different types of spirit guides who will come to you when called upon, and/or during periods of your life where their help is particularly needed. Some examples of the most common types of spirit guides are: Protector guides, Gatekeeper guides, Message bearer guides, Healing guides. Teacher Guides, Joy Guides, Timing Guides, Karmic guides, Creative Guides and Astral guides. Half man Half beast – A common form of spirit guide, presenting itself as part man/woman and part animal. Examples of these beings include creatures such as Mermaids and centaurs. In some cultures, deities such as Ganesha and Anubis manifest themselves with a half man half animal presence in their spiritual form, bringing together the wisdom of the animal that they portray. Animals/totems – One of the most well known forms of guides are animals. Dating back to ancient cultures animals have played a huge part in the representations of our inner reflections, being worshiped and used to represent many tribal communities. The easily accessible nature means that animals guides have managed to stay prominent in our spiritual lives because of how easy they are to witness on this plane, with many people stating that they see their assigned guide in physical form on a regular basis. Light Beings – Light beings, or Guardian Angels, are known to help people move past a particularly traumatic experiences, regularly associating themselves with death, loss and grief. 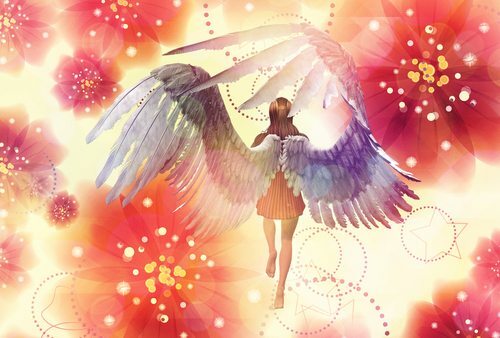 These beings serve the purpose of comfort in difficult situations and gain their angelic appearance from the bright glow of their light energies. Ancestral Guides – Ancestral guides hold blood relation with an individual at some point throughout their family history. However, an ancestral guide will not always be a recently deceased member of your family, and it’s very plausible if you’ve never met this family member before. Plants – It’s weird to think that organic materials such as plants can help us in our spiritual journey, yet being one with Mother Earth gives us access to her energies. Plant spirit guides, like animal spirit guides, will show up in certain aspects of your life to help guide and aid you in times of need and reflection. For centuries, shamans, healers and witch doctors have worked with the energies that these plants provide for us in aid of healing a person. Gods and Goddesses – It’s not uncommon to hear a spiritual person to claim to have spoken to their god. As their have been many godly figures throughout the short history of the human world certain people may connect to one of the many gods, yet their higher knowledge and understanding makes these figures an important guide for many people. Ascended Masters – Like Gods and Goddesses, Ascended Masters are often beings of a higher power who have previously lives on the earth realm i.e. Gautama Buddha. Having become enlightened/awakened on their earth journey, these figures are often seen as teachers, teaching all that call upon them. Their personal enlightenment and tales of their own spiritual journeys make them gateways to the divine. Let us know in the comments about your experiences with spirit guides and the forms that you’ve seen them in.